Today Apple is expected to release a new series of iPhone handsets with the base price for one set at more than $1000. While many commentators are focusing on the price, the bigger issue is less about what these new handsets cost, but what value they’ll hold. The idea that a handset — once called a phone — that is the size of a piece of bread could cost upward of $1000 seems mind-boggling to anyone who grew up with a conventional telephone. The new handsets coming to market have more computing power built into them than was required for the entire Apollo space missions and dwarf even the most powerful personal computers from just a few years ago. And to think that this computing power all fits into your pocket or purse. The iPhone pictured above was ‘state of the art’ when it was purchased a few years ago and has now been retired to make way for the latest (until today) version required not because the handset broke, but because it could no longer handle the demands placed on it from the software that powered it and the storage space required to house it all. This was never an issue when people used a conventional telephone because it always worked and it did just one thing really well: allowed people to talk to each other at a distance. The iPhone is as much about technology as it is a vector of change in social life that is a product of and contributor to new ways of interacting. The iPhone (and its handset competitors) did not create the habits of text messaging, photo sharing, tagging, social chat, augmented reality, but it also wasn’t just responding to humans desire to communicate, either. Adam Alter’s recent book Irresistible outlines how technology has been a contributor to behaviours that we would now call addictive. This includes a persistent ‘need’ to look at one’s phone while doing other things, constant social media checking, and an inability to be fully present in many social situations without touching their handset. Alter presents the evidence from a variety of studies and clinical reports that shows how tools like the iPhone and the many apps that run on it are engineered to encourage the kind of addictive behaviour we see permeating through society. Everything from the design of the interface, to the type of information an app offers a user (and when it provides it), to the architecture of social tools that encourage a type of reliance and engagement that draws people back to their phone, all create the conditions for a device that no longer sits as a mere tool, but has the potential to play a central role in many aspects of life. These roles may be considered good or bad for social welfare, but in labelling such behaviours or outcomes in this way we risk losing the bigger picture of what is happening in our praise or condemnation. Dismissing something as ‘bad’ can mean we ignore social trends and the deeper meaning behind why people do things. By labelling things as ‘good’ we risk missing the harm that our tools and technology are doing and how they can be mitigated or prevented outright. Since the iPhone was first launched, it’s moved from being a phone with a built in calendar and music player to something that now can power a business, serve as a home theatre system, and function as a tour guide. As apps and software evolve to accommodate mobile technology, the ‘clunkiness’ of doing many things on the go like accounting, take high-quality photos, or manage data files has been removed. Now, laptops seem bulky and even tablets, which have evolved in their power and performance to mimic desktops, are feeling big. The handset is now serving as the tether to each other and creates a connected world. Who wants to lug cables and peripherals with them to and from the office when you can do much of the work in your hand? It is now possible to run a business without a computer. It’s still awkward, but it’s genuinely possible. Financial tools like Freshbooks or Quickbooks allow entrepreneurs to do their books from anywhere and tools like Shopify can transform a blog into a full-fledged e-commerce site. Tools like Apple Pay have turned your phone into a wallet. Paying with your handset is now a viable option in an increasing number of places. This wasn’t practical before and now it is. With today’s release from Apple, new tools like 3-D imaging, greatly-improved augmented reality support and enhanced image capture will all be added to the users’ toolkit. Combine all of this with the social functions of text, chat, and media sharing and the handset has now transformed from a device to a social connector, business driver and entertainment device. There is little that can be done digitally that can’t be done on a handset. It’s easy to get wrapped up in all of this as technological hype, but to do so is to miss some important trends. We may have concern over the addictive behaviours these tools engender, the changes in social decorum the phone instigates, and the fact that it becomes harder to escape the social world when the handset is also serving as your navigation tool, emergency response system, and as an e-reader. But these demands to have everything in your pocket and not strapped to your back, sitting on your desk (and your kitchen table) and scattered all over different tools and devices comes from a desire for simplicity and convenience. In the midst of the discussion about whether these tools are good or bad, we often forget to ask what they are useful for and not useful for. Socially, they are useful for maintaining connections, but they have shown to be not so useful for building lasting, human connections at depth. They are useful for providing us with near-time and real-time data, but not as useful at allowing us to focus on the present moment. These handsets free us from our desk, but also keep us ‘tied’ to our work. At the same time, losing your handset has enormous social, economic and (potentially) security consequences. It’s no longer about missing your music or not being able to text someone, when most of one’s communications, business, and social navigation functions are routed through a singular device the implications for losing that device becomes enormous. By asking how a technology is useful and not useful we can escape the dichotomy of good and bad, which gets us to miss the bigger picture of the trends we see. Our technologies are principally useful for connecting people to each other (even if it might be highly superficial), enabling quick action on simple tasks (e.g., shopping, making a reservation), finding simple information (e.g., Google search), and navigating unknown territory with known features (e.g., navigation systems). This is based on a desire for connection a need for data and information, and alleviating fear. Those underlying qualities are what makes the iPhone and other devices worth paying attention to. What other means have we to enhance connection, provide information and help people to be secure? Asking these questions is one way in which we shape the future and provide either an alternative to technologies like the iPhone or better amplify these tools’ offerings. The choice is ours. There may be other ways we can address these issues, but thus far haven’t found any that are as compelling. Until we do, a $1000 for a piece of technology that does this might be a bargain. Seeing trends and developing a strategy to meet them is what foresight is all about. To learn more about how better data and strategy through foresight can help you contact Cense. Who would have thought that failure would be held up as something to be desired just a few years ago? Yet, it is one thing to extol the virtues of failure in words, it is quite another to create systems that support failure in action and if the latter doesn’t follow the former, failure will truly live up to its name among the innovation trends of the 21st century. Ten years ago if someone would have said that failure would be a hot term in 2014 I would have thought that person wasn’t in their right mind, but here we are seeing failure held up as an almost noble act with conferences, books and praise being heaped on those who fail. Failure is now the innovator’s not-so-secret tool for success. As I’ve written before, failure is being treated in a fetishistic manner as this new way to unlock creativity and innovation when what it might be is simply a means reducing people’s anxieties. Saying it’s OK to fail and actually creating an environment where failure is accepted as a reasonable — maybe even expected — outcome is something altogether different. Take strategic planning. Ever see a strategic plan that includes failure in it? Have you ever seen an organization claim that it will do less of things, fail more often, and learn more through “not-achieving” rather than succeeding?? Probably not. How often has a performance review for an individual or organization included learning (which is often related to failure) as a meaningful outcome? By this I refer to the kind of learning that comes from experience, from reflective practice, from the journey back and forth through confusion and clarity and from the experimentation of trying and both failing and succeeding. It’s been very rare that I’ve seen that in either corporate or non-profit spaces, at least in any codified form. But as Peter Drucker once argued: what gets measured, get’s managed. If we don’t measure failure, we don’t manage for it and nor do our teams include failure as part of their core sets of expectations, activities and outcomes and our plans or aspirations. Good judgment comes from experience, but experience comes from bad judgment. One of the persistent Gladwellian myths* out there is that of the 10,000 hours rule that suggests if we put that amount of time into something we’re likely to achieve a high level of expertise. This is true only if most of those 10,000 hours were mindful, deliberate ones devoted to the task at hand and involve learning from the successes, failures, processes and outcomes associated with those tasks. That last part about mindful, reflective attention or deliberate practice as the original research calls it (as so many Gladwellian myths suffer from) is left off of most discussions on the subject. To learn from experience one has to pay attention to what one is doing, what one is thinking while doing it, and assessing the impact (evaluation) of that action once whatever is done is done. For organizations, this requires alignment between what people do and what they intend to do, requiring that mindful evaluation and monitoring be linked to strategy. If we follow this lead where it takes us is placing failure near the centre of our strategy. How comfortable are you with doing that in your organization? Failure is among the most emotionally loaded words in the English language. While I often joke that the term evaluation is the longest four-letter word in the dictionary, failure is not far off. The problem with failure, as noted in an earlier post, is that we’ve been taught that failure is to be avoided and the opposite of success, which is viewed in positive terms. Yet, there is another reason to question the utility of failure and that is also related to the term success. In the innovation space, what does success mean? This is not a trivial question because if one asks bold questions to seek novel solutions it is very likely that we don’t know what success actually looks like except in its most general sense. A reading of case studies from Amazon to Apple and Acumen to Ashoka finds that their success looks different than the originators intended. Sometimes this success is far better and more powerful and sometimes its just different, but in all cases the path was littered with lessons and few failures. They succeeded because they learned, not because they failed. Why? Because those involved in creating these ‘failures’ were paying attention, used the experience as feedback and integrated that into the next stage of development. With each stage comes more lessons and new challenges and thus, failure is only so if there is no learning and reflection. This is not something that can be wished for; it must be built into the organization. Build in the learning capacity for your organization by making learning a priority and creating the time, space and organizational support for getting feedback to support learning. Devoting a small chunk of time to every major meeting to reflecting back what you’re learning is a great way to start. Get the right feedback. Developmental evaluation is an approach that can aid organizations working in the innovation space to be mindful. Ask lots of questions of yourself, your stakeholders, what you do and the systems you’re in. Learn how to design for your particular program context based on feedback coming from the question asking and answering. Design is about experimenting without the expectation of immediate success. Develop safe-fail experiments that allow you to try novel approaches in a context that is of relatively low risk to the entire organization. There are many ways to do this and systems that can support you in truly building the learning capacity of your organization to be better at innovating while changing the relationship you have with ‘failure’. For more information about how to do this, CENSE Research + Design offers consultation and training to get organizations up to speed on designing for social innovation. * Refers to ideas popularized by journalist and essayist Malcolm Gladwell that are based on the scientific research of professionals and distilled into accessible forms for mass market reading that become popular and well-known through further social discussion in forms that over-simplify and even distort the original scientific findings. It’s a social version of the “telephone game“. The 10,000 hour ‘rule’ was taken from original research by K. Anders Ericsson and colleagues on deliberate practice and is often discussed in the context of professional (often medical) training, where the original research was focused. This distortion is not something Gladwell intends, rather becomes an artifact of having ideas told over and again between people who may have never seen the original work or even Gladwell’s, but take ideas that become rooted in popular culture. A look at citations on failure and innovation finds that the term deliberate practice is rarely, if ever, used in the discussion of the “10,000 rule”. 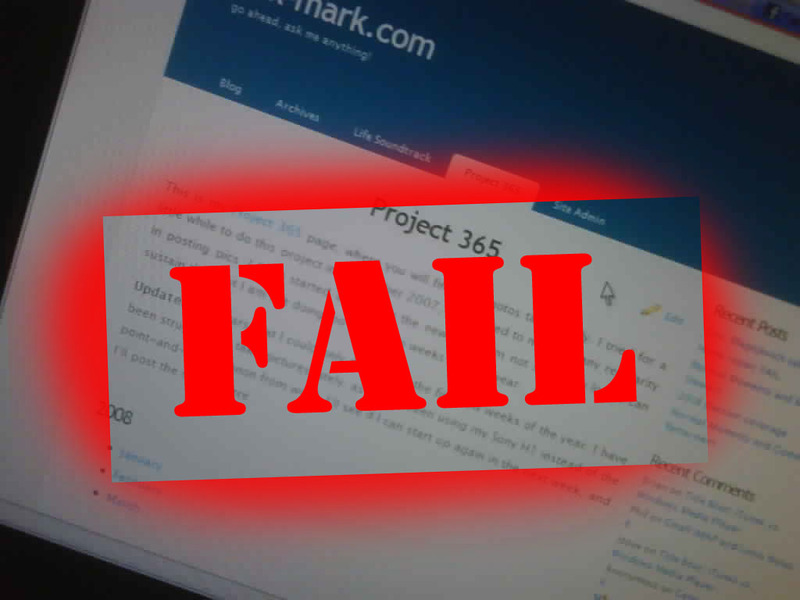 Photo Credit: Project365Fail by Mark Ordonez used under Creative Commons license via Flickr. Thanks for sharing, Mark! Innovators transform the world around them in big and small ways and while a successful effort can be lauded by pundits, politicians and the public there is a long road to making change happen. That road is also a lonely one and doing things different means more than just innovating and experiencing what it means to be resilient firsthand. Clayton Christensen’s seminal book The Innovator’s Dilemma has been one of the leading sources of thinking-inspriation in business and social innovation. The book reflects the challenges with those seeking to introduce new ideas, products or services into established markets (or ecosystems) in the aim of addressing both people’s present and future needs. These innovators — change-makers — risk disrupting the very markets they seek to influence bringing uncertainty for everyone. What innovators bet on is that the changes they introduce will have wide-ranging, positive benefits even if they don’t fully know what those are before setting out. Not surprisingly, these efforts are not always welcome at first and the road toward understanding and acceptance is a long one. This opposition is a challenge for anyone, but the long slog towards innovation is not only hard on the spirit, it is often a lonely path. To innovate means to lead through ideas and products. We live in a society that admires and elevates the innovators. No better or perhaps inspiring example is the 1997 advertisement from Apple as part of the Think Different campaign in the 1990’s. What is missing from the platitudes, plaudits and celebrations is the quiet, often lonely, life away from the attention that successful innovations bring (nevermind those that are not deemed successful). To innovate is to lead and to lead is often to be lonely by definition because there are few leading and more following. This leadership by thought or action is often what makes leaders appear creative, innovative and — as Seth Godin affectionately calls being weird. A study discussed in the Harvard Business Review and dissected in Forbes pointed to high rates of loneliness among those at the CEO level, which is among those who “made it”. Consider those who haven’t yet “made it”, who haven’t had their idea “succeed” or take off and it might feel even more lonely. At a recent workshop I conducted a participant expressed publicly a sense of gratitude for simply having the opportunity to connect with others who were simply open to seeing the world in the same way that they were. In hosting a learning workshop for social innovators a positive byproduct was that attendees who might have been isolated in their activities and thinking in one context could come together in another. 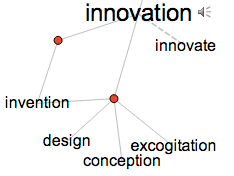 Innovation, because it is new, means that innovators have few peers available to directly commiserate with and may need to find ways to connect on idea, method, philosophy or role, but rarely something direct. That requires extra work in the search and more effort to connect in the finding, which takes time and energy — two things innovators are often short of. But that doesn’t diminish the value and importance of time and energy and directing it towards efforts to reduce isolation. Paul Born, Director of the Tamarack Institute for Community Engagement, recently published a book on creating deep community connections as a necessary means of fostering transformative change. Born offers four pillars to a deepening community are: 1) sharing stories, 2) taking the time to enjoy one another, 3) taking care of one another, and 4) working together towards a bigger social goal. While there is little to argue with here, these pillars rest on the ability to locate, co-locate and create the space to share, enjoy, care and collaborate in the first place. 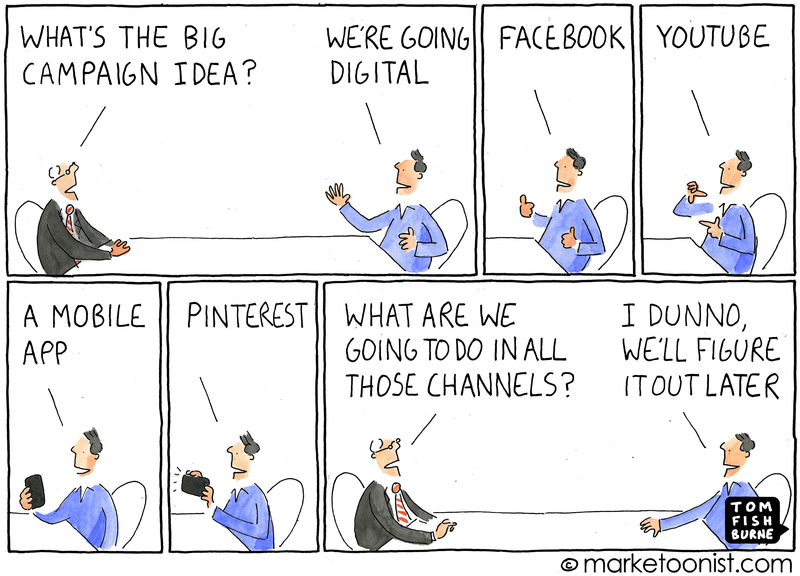 For many innovators this is the hardest part. Where do we find the others like ourselves and how do begin to frame this journey? There is a reason that innovators have flocked to tools like the Business Model Canvas and the Lean Startup method to help people define, refine and develop their products and mission. It’s easy to point to firms like Apple as examples of clear-focused innovators now, but 20 or 30 years ago it wasn’t so clear. Apple’s overall mission and vision are easy to see lived out in hindsight, not at the beginning. A read of Steve Jobs’ biography illustrates how often his way of approaching the world clashed with nearly everyone and everything and how difficult life was for him. But Steve Jobs happened to be challenging the world in a place that would come to be known as Silicon Valley. For the last thirty years the San Francisco bay area has been a spark for creative thinking and innovation, one of many hotbeds of business and cultural transformation that Richard Florida documented as home of the Creative Class(es). But not all innovation takes place in these centres and even within such centres it might be hard to connect when an idea is ill-formed or new. We lose out when innovation is only done in certain places by certain people. (Social) innovators are part of a diffuse and sometimes lost tribe. If you look at the language that we frame innovation we reveal many of the problems with not only our ideas, but what we do with them. As mentioned in previous posts, we privilege terms like creativity, but often ignore craft. We aspire to be learners, but often don’t like real learning. We tout the role of failure in design and innovation, yet our overloaded cultural baggage attached to the term prevents us from really failing (or asking such tepid questions we don’t really stretch ourselves). Having access to social media and electronic communities offer a lot and something we didn’t have before, but its very difficult to forge strong, connective bonds mediated through a technological interface. Technology is good at initiating superficial connections or maintaining deeper connections, but not so good at creating deep connections. Those deeper connections as Paul Born points out are the things that sustain us and allow us to do our best work. The dilemma is how to allocate time and resources in cultivating uniqueness, depth and connecting to similar innovators when that pool is small or integrating more with those in the convention system. 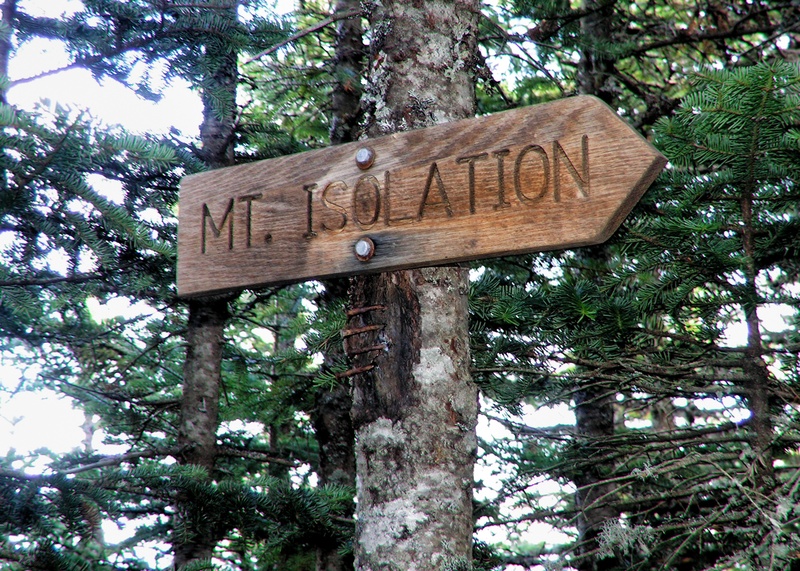 Of course innovators need to relate to both groups at some level because an innovation doesn’t grow if we only connect to ‘true believers’, but at different stages it matters how we’re allocating our time, energy and enthusiasm particularly along that journey up Mt. Isolation. There is no ready answer for this problem. Indeed, the lonely path to being different, weird or constructively challenge the harmful or less effective parts of the status quo may be one of the most wicked ones innovators face. In Toronto and New York City, the Centre for Social Innovation is a part co-working space, social action community, and venture incubation support group that connects and enlivens the work that social innovators do. They have many events (many are free and low cost) organized by their members that seek to bring people together and offer skill development. If you’re in Ottawa, check out The Hub. In Calgary? Check out EpicYYC ; In Vancouver, visit the great folk at the HiVE. Throughout the United States Impact Hub spaces offer innovators options to work and connect and in Cambridge, MA there is the amazing Cambridge Innovation Centre for innovation more broadly. MaRS in Toronto offers another option. Lastly, CENSE Research + Design hosts a series of webinars and free and paid workshops to create capacity for social innovation. For more information visit: www.cense.ca/learning . Born, P. (2014). Deepening Community: Finding Joy Together in Chaotic Times (p. 216). San Francisco, CA: Berrett-Koehler Publishers. Wheatley, M. (2006). Leadership and the New Science: Discovering Order in a Chaotic World (3rd. ed., p. 218). San Francisco, CA: Berrett-Koehler Publishers. Wheatley, M. (2007). Finding Our Way: Leadership for an Uncertain Time (p. 300). San Francisco, CA: Berrett-Koehler Publishers. Wheatley, M. (2010). Perseverance (p. 168). San Francisco, CA: Berrett-Koehler Publishers. Blackberry, once the ‘must have’ device is no longer so and may no longer even exist. Looking back on how the mighty device maker stumbled the failure is attributed to what was done and not done, but I would argue it is more about what was unseen and not thought. Ignorance of the past, present and future is what swarmed them and a lack of developmental design in their culture. 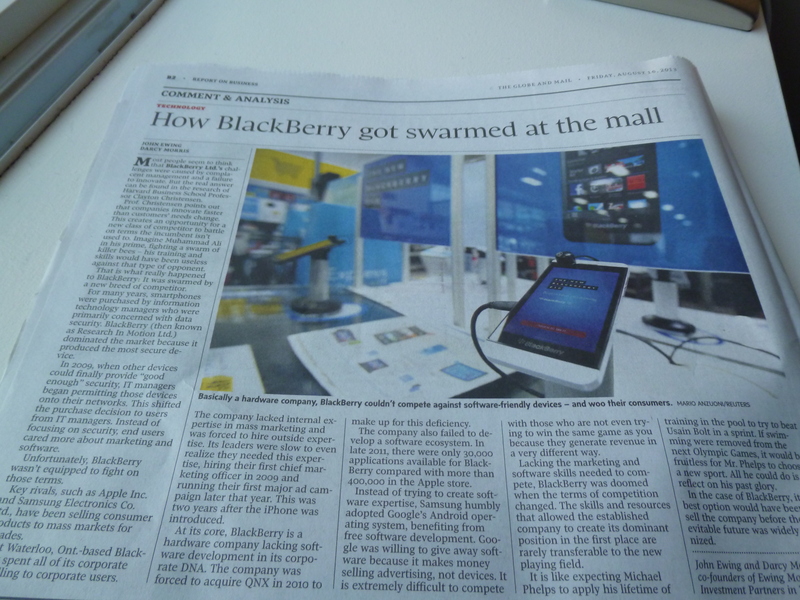 Today’s Globe and Mail features the above-pictured story about how and why Blackberry lost out to Apple’s iOS iPhone and Google’s Android powered phones due in large part to their focus on their stellar enterprise security system and failing to consider what would happen when competitors yielded ‘good enough’ models. It’s a tale years in telling and what may be the beginning of the end of the once globally dominant Canadian tech leader. Workers were passionate enough about these new tools that they would bear the cost of their own phone to use these tools and carry two devices than just rely on a Blackberry if they were required to have one. Few people I know like email anymore. We tolerate it. Almost no one who is in the work world gets too few emails. Email is a useful and highly embedded form of communication; so much so as to nearly be a form of dominant design in our business communications. What a little anthropological research on RIM’s part would have produced is some insights into how people communicate. Yes, email is the most pronounced electronic method of communication for business, but it doesn’t excite people like a video does or engage conversation like Twitter can or enable re-connection to close peers or family like LinkedIn and Facebook do. These are all platforms that were lesser served by the Blackberry model. What that means is that email is vulnerable to those things that attract people. In complexity terms rich media is an attractor; it organizes patterns of activity around it that stimulate creativity in the system. This meant that a lot of positive energy was being directed into these new means of engagement over others and that when given the opportunity to choose and use a device that supported this engagement better people (and eventually the firms they worked for) began to opt for them over Blackberry. Developmental design is a process of incorporating the tenets of design thinking with developmental evaluation, strategic foresight, business model innovation and contemplative inquiry. It means constantly evaluating, assessing, designing and re-designing your product offerings as things change and developing a constant attentive focus on where you are, where you came from and the weak and strong signals that indicate shifts in a culture. This is a new way of doing innovation development, evaluation and strategy, but it is the necessary ingredient in a space where there is high levels of complexity, rapid churn in the system, and high demand for action. 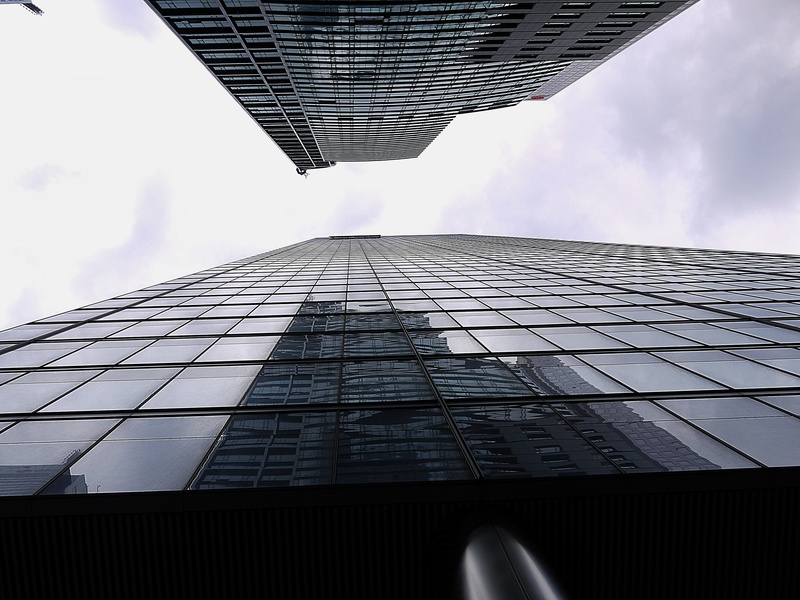 Increasingly, this is no longer just the domain of high tech, but banking, retail, healthcare, education and nearly every system that is operating in multi-jurisdictional environments. When we (the customer, patients, students…) were very much the same, we could treat our system simply. Now the ‘we’ is different and the systems are complex. Developmental design is the praxis of innovation. It is interesting to note that today is the day the bio-pic on Steve Jobs is released into theatres. Jobs knew developmental design even if he never named it as such. He famously ‘got out’ in his own, unique way. He went for walking meetings rather than sat in boardrooms. He watched what people did and channeled his own passion for creating things into a company culture that was designed to create things to help people create things. To that end, he was among the most outstanding innovators of the last 50 years. Yet, Jobs and his team were good at paying attention to where things had gone (the computer), where they were (increasing bandwidth capability and demand with the Internet), and where they were going (decentralized production). Thus we had a number-crunching machine turned it into a suite for personal creativity (Mac), which spawned a music player (iPod) and online store (iTunes), which led to a multimedia communications handset (iPhone), which inspired a handheld tablet (iPad). Apple is the most valued tech company in the world because of that vision, one that has been questioned in light of Jobs’ passing on and new leadership in place at the company. Blackberry is not unique. The leaderboard in consumer mobile technology has changed from Motorola to Nokia to RIM (Blackberry) to Apple to Samsung (Android) in less than 15 years. That is enormous churn in a sector that touches over three quarters of the world’s population directly (more than toilets). While perhaps an extreme case, it is becoming a model to pay attention to for other industries on different scales. Ask yourself: Are you Blackberry today or Apple yesterday? If you apply developmental design to your work, you’ll have your answer. When we type ‘www’ as part of a URL, we refer to the World Wide Web, this vast expansive network of data and information that provides a universe of information possibilities and the ability to learn about almost anything from nearly any point of view. Indeed, we might just focus on some very narrow things and actually make our world, psycho-socially at least, a little smaller. Although I don’t think Marshall McLuhan had this in mind when he referred to this web as a global village. 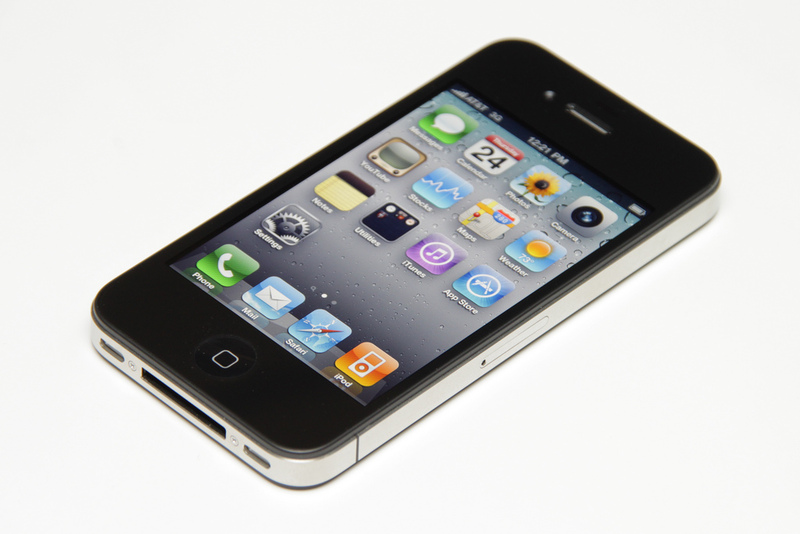 Take today’s announcement by Apple on the state of the iPhone 4 in addressing ‘antennaegate‘. At issue is an under-performing cellphone transmission antennae in the iPhone that has caused a huge stir in the tech media world – which, if you read enough of it, assumes is important to the world at large. During the presentation Apple wasn’t afraid to air some dirty laundry: Including the return rate for its premier device, the iPhone. The 3GS had a return rate of 6%, and so far the iPhone 4’s is running at 1.7%. Jobs thinks this illustrates that the end user is pretty satisfied with the phone, and that there’s no real problem with the antenna in day to day use. Ignoring the spin on this point, the fact Apple was prepared to share this internal business data at all is very unusual–and those figures will become used and referenced as new industry standards. Also unusual: Normally super-calm Steve Jobs swore on stage when answering a question about the now famous, and discredited, Bloomberg report that alleged an Apple engineer gave Jobs an early warning about the antenna. Apple is serious about defending its iPhone 4, folks. Judging by the media firestorm, which included tech blogs to mainstream publications like The Economist, this is a significant issue. But to consumers, it isn’t…at least not enough to stop making the iPhone 4 the fastest selling device ever. Here, we have a very vocal, connected and articulate group of passionate media advocates in the tech world making a small issue and gigantic one. While such mis-steps are rare for Apple, it is probably fair to say that the iPhone issue was minor in real terms to the average person. The problem here, is that this highly connected group of writers seems connected to itself, and not the wider public who, by their actions, are far less concerned about this issue of the antennae. About 170 million people visit Twitter each month, and 19m (11.2%) are Brazilian. More than one in ten Brazilian internet users visits Twitter each month, which is a higher proportion than in most nations – of the big internet using nations, the only one with a higher percent of people using the tool is Japan.There are millions of Japanese and Brazilian people on Twitter. If that seems surprising to you, it’s because most of your friends online aren’t Japanese or Brazilian. Twitter conducted a phone survey that revealed a quarter of their US users are African American… which was pretty surprising to most American users, who assumed that Twitter was just used by nerdy white guys. What Zuckerman points out is that we’re not getting out as far as the Internet can take us because we’re choosing to socialize in places we find comfortable (my words, not his). We’re not venturing further from where we sit — physically, psycho-socially, politically or anywhere, really. In another TED talk, psychological Jonathan Haidt spoke about the moral differences between conservatives and liberals, pointing to the same idea in politics about how much distance there is between those who might be Democrat vs. those who identify as Republican in the United States. The social networking technologies we have right now offer the opportunities to see the world and communicate with its residents. But it is the everyday social and psychological tools that require deployment if we are to do anything more with these networks than we could have done without them. Is the Internet really creating a World Wide Web or is it more of a louder, more convenient clique at a high school party? Perhaps Jaron Lanier is more right than we first thought.